Your browser does not support inline frames or is currently configured not to display inline frames. if I've designed this page correctly, you should never see this message, so if you do, please email me at steve@greensonscreen.co.uk and I'll get back to you. Thanks. 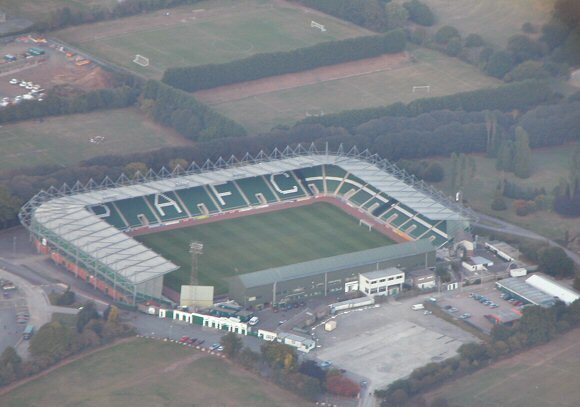 Also, from multimap: Home Park (from which you can link to an aerial photo - click on 'view aerial photo' on left of map - then zoom and move around. As it happens, the circus was in town that day, so the tent acts as a convenient red dot next to Home Park).